Branches of Government - Drag the responsibilities to the branch where they fit best. 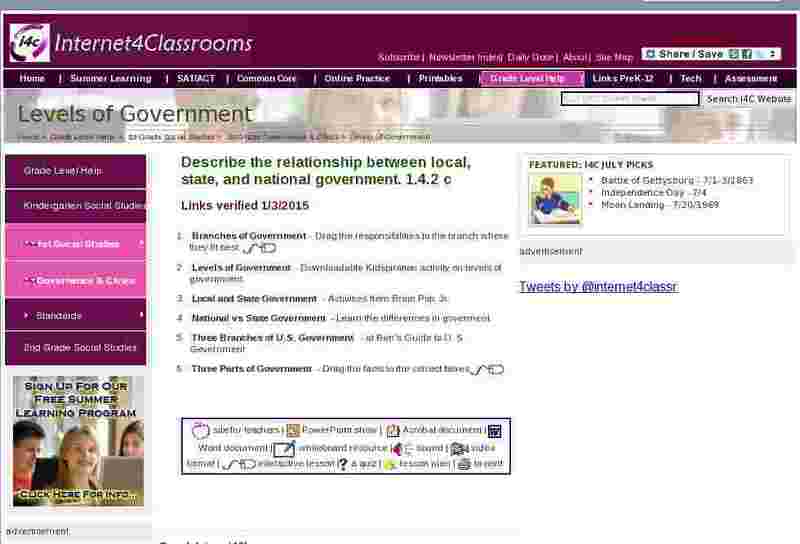 Levels of Government - Downloadable Kidspiration activity on levels of government. Local and State Government - Activities from Brain Pop, Jr.
National vs State Government - Learn the differences in goverment. Three Parts of Government - Drag the facts to the correct boxes.